It wasn’t a photo that I expected to take. I was in a hurry and, truth be told, it wasn’t exactly a chapel that arrested my attention. But, just as I was passing by, for the first time on a cloudy day the sun shone as if to light up the whole scene. There was no one else around and it felt as if a show was being put on purely for my enjoyment. It felt rude not to try and capture the scene. It wasn’t easy. This being a densely populated area it was impossible to avoid the intrusion of modernity - in the form of cars – something which I intensely dislike and try to avoid. Unfortunately on this occasion, however, it wasn’t possible irrespective of which angle I tried. All of this gave me the opportunity to take a closer look and, when that happens, you start noticing the little things that otherwise you might miss. For instance, it is built on a podium, an indication that once upon a time this was a building that demanded (and got) respect. 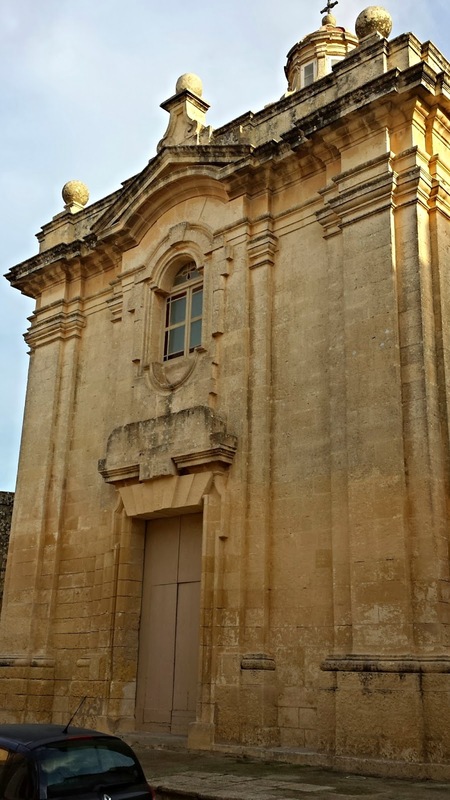 A sign on the side informed me that inside this is quite an ornate building – something to watch out for on another day – and that it had been built in the middle of the eighteenth century in place of another chapel that had been abandoned. The history of this building was, perhaps, more interesting than a somewhat plain exterior led to believe. Which, perhaps, is why the sun shone on it on that particular Saturday afternoon. Photo taken on a Samsung Galaxy S4. The Chapel of St Bartholomew can be found here.